I am back from Let’s Go South ’12, and I cannot think of a better way to celebrate a successful road trip than by getting right back into the swing of things with a Sharp-Schu trifecta (trademark pending). Today, we are celebrating Barbara O'Connor's On the Road to Mr. Mineo’s. If I granted you access to my private Google document entitled “Mr. 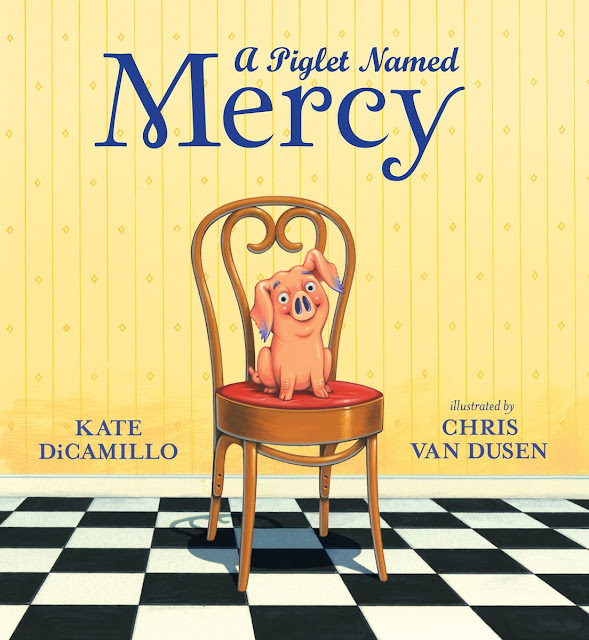 Schu’s Favorite Middle-Grade Novels of 2012,” you would spot it near the top of the list. And now, without further ado, I present to you the book trailer for On the Road to Mr. Mineo’s. It is time to start blog hopping. 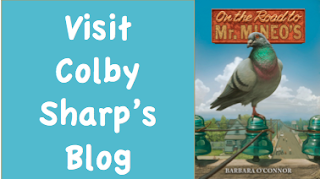 Head on over to Colby Sharp's blog to read his thoughtful interview with award-winning author Barbara O'Connor. 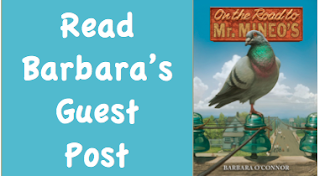 Barbara O'Connor is today's Nerdy Book Club guest blogger. Please click here to read her wonderful essay. I bought The Fantastic Secret of Owen Jester and The Small Adventure of Popeye and Elvis at Pinocchio's Bookshop to give away. 1. The giveaway will run from August 2 to 11:59 p.m. on August 6. 2. You must be at least 13 to enter. Thankfully, there are book trailers for most of Barbara O'Connor's novels. Go grab a snack, log in to your library account in order to place each book on hold, and then enjoy a book trailer marathon. Please visit Barbara O'Connor's website for discussion guides, book talks, trivia questions, photos, biographical information, and more. 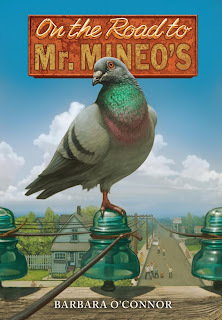 On the Road to Mr. Mineo's will be released on October 2, 2012. So looking forward to reading this. 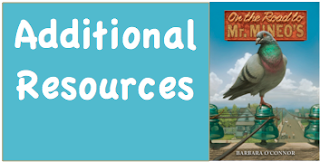 I adore Barbara O'Connor's books - never a wasted word and such kid-centric worlds! How cool that Barbara O'Connor and I both have books coming in October from Macmillan featuring characters named Stella?? Pretty darn cool. Thanks so much for hosting the giveaway and sharing these trailers. Just wanted to say 'Thanks' for posting all of these fantastic books. I just finished reading "The One and Only Ivan" and can't wait to bring it to my elementary school here in Canada. I appreciate your enthusiasm and creativity and will definitely be following your blog to see what else you suggest!